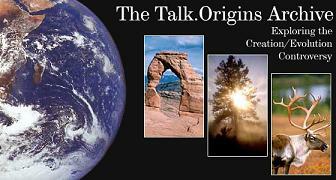 The Talk.Origins Archive web page titled Index to Creationist Claims, consists of a list of rebuttals to alleged creationist arguments against evolutionism. Much of the list was subsequently published in 2005 as The Counter-Creationism Handbook. Some of these claims are regularly used by creationists, some are uncommon, and some are not used at all. Not all of the objections raised by Talk.Origins are incorrect, but it is important that creationists respond to this anti-creationism list. This page links to responses from creationists to each of the "rebuttals" found on the Talk.Origin's website. NOTE: When creating a page for this archive, please follow the guidance at CreationWiki:Talk.Origins responses. This page was last modified on 30 July 2015, at 15:16.